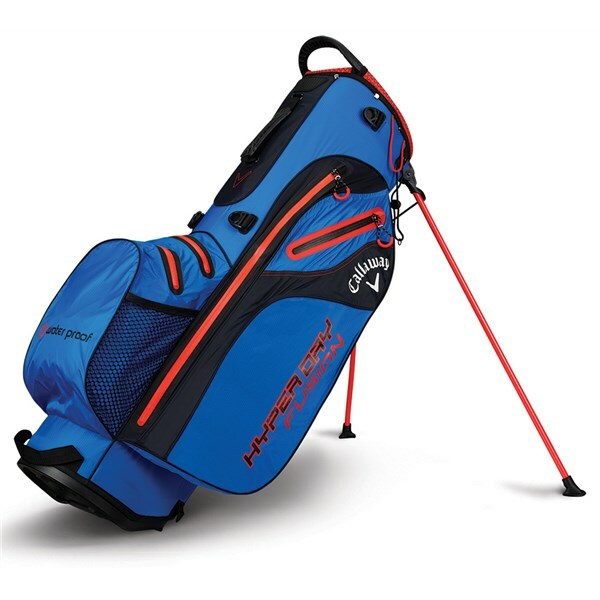 Great bag - good in all conditions! 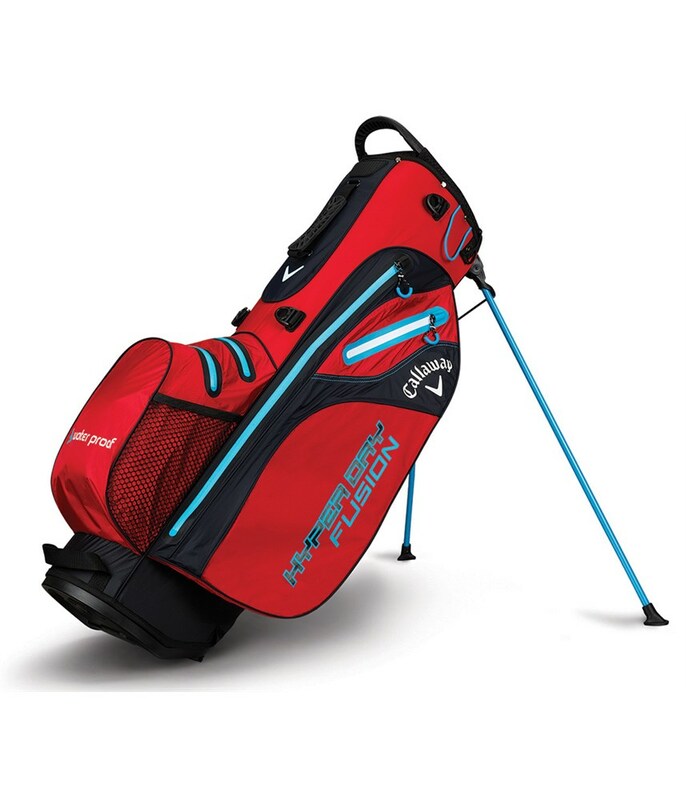 Good bag with lots of room. 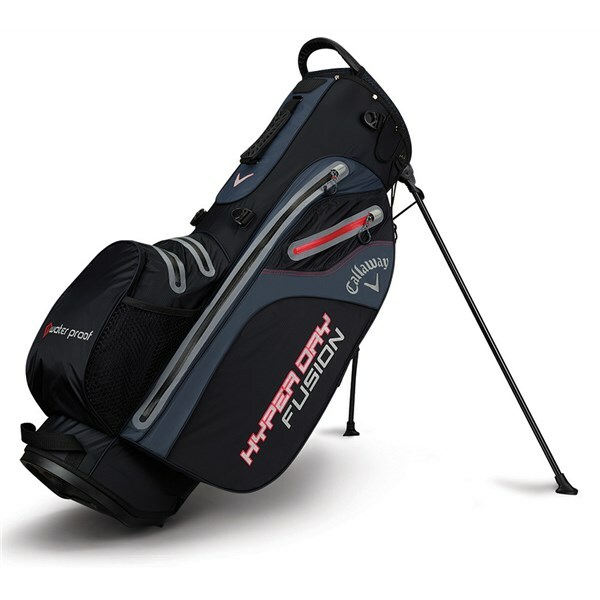 The straps are comfortable, and the base combined with the ability to "lock" the legs makes it great on a trolley as well. 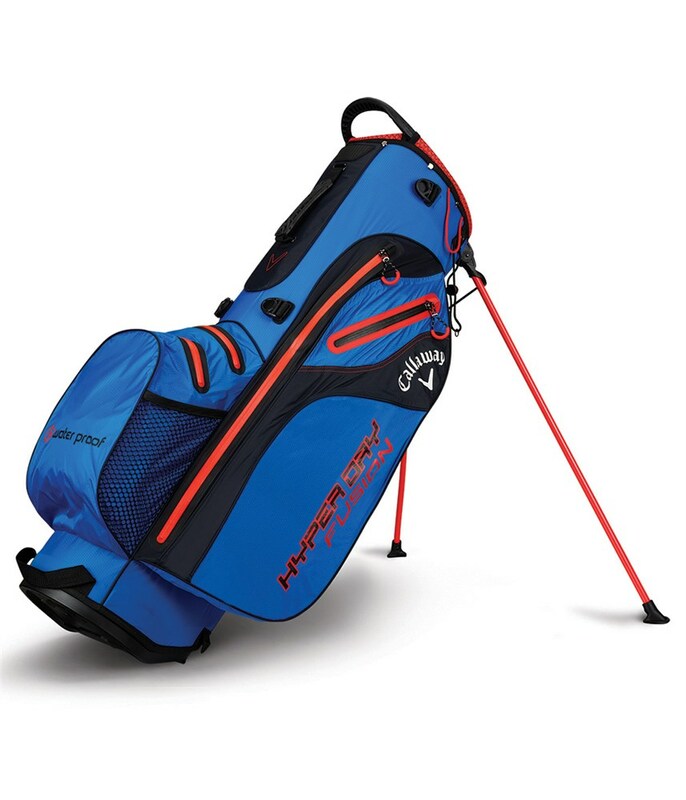 The Callaway Fusion stand bag takes the best parts of a stand and cart bag to provide the ultimate hybrid style bag. 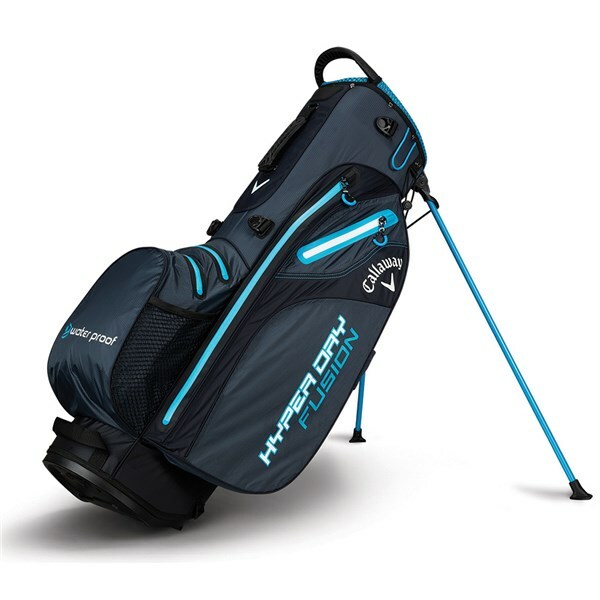 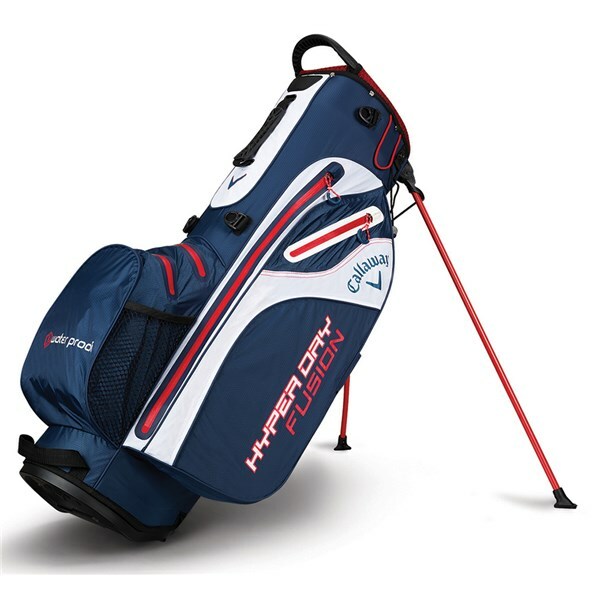 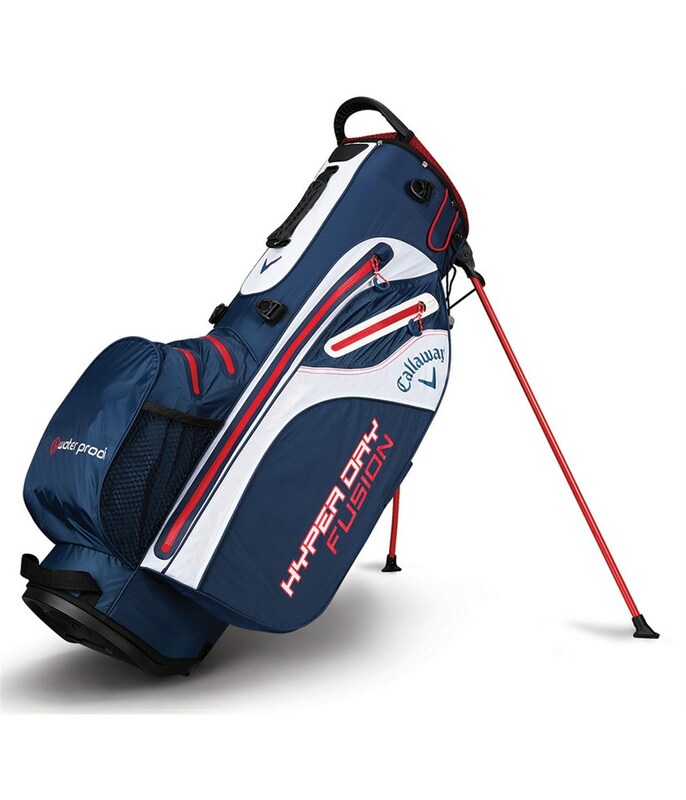 Callaway have designed the Hyper Dry Fusion stand bag to be 17% lighter and up to 50% more waterproof than the previous Hyper Dry model. 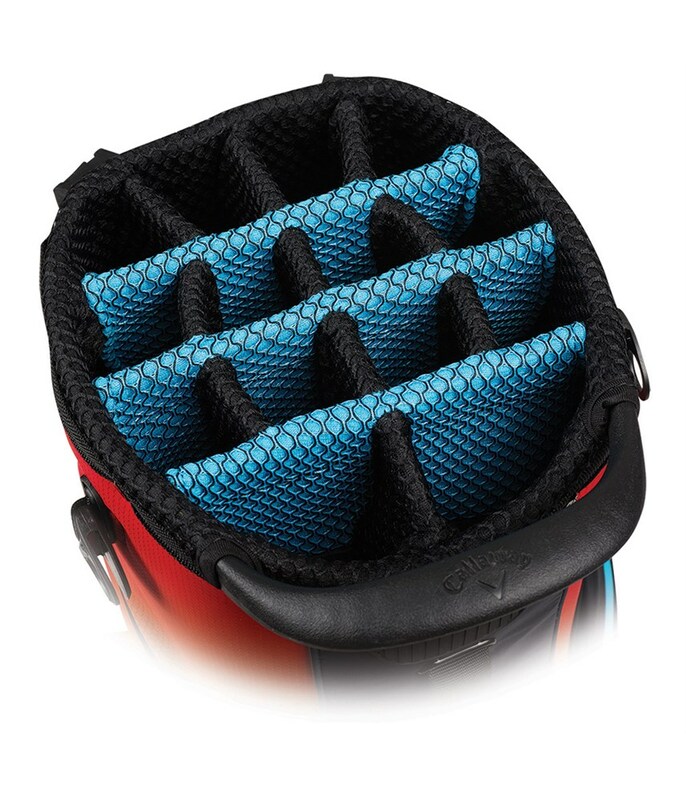 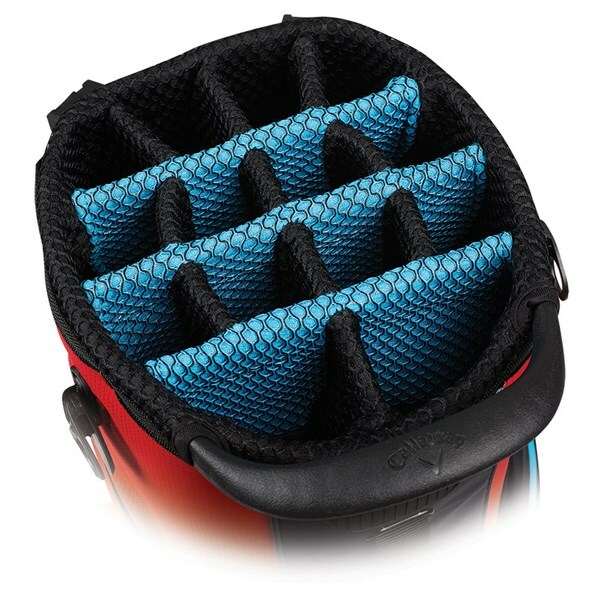 Callaway have used a top cuff design that incorporates a 14-way full-length divider system similar to the design of a cart bag which will provide excellent club management and protection to your clubs. 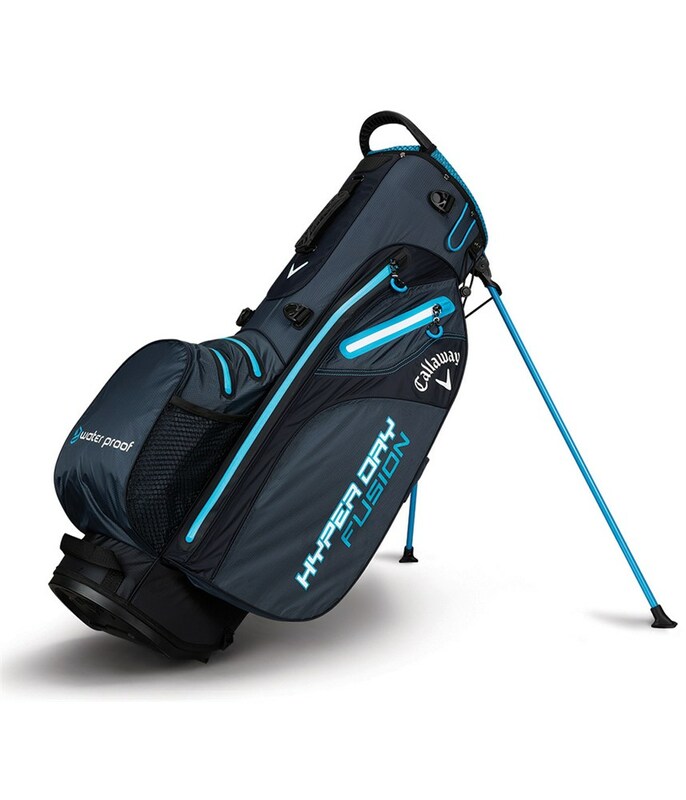 The fabric that Callaway have used is lightweight, the empty weight of the Fusion stand bag is only 4.8lbs, so carrying with the X-Act Fit Strap four-point harness style carry strap is no hassle at all, the strap design also provides excellent balance when fully loaded. The base of the Fusion stand bag is also compatible with trolleys or buggies, the legs of the stand can also be secured into place so that you can use either mode of transport.